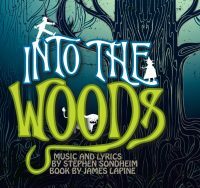 Auditions for our May 2018 production of Into the Woods will be taking place on Monday 16th October at Yeadon Town Hall, Yeadon, Leeds LS19 7PP from 7pm. Additional auditions will be held on Wednesday 18th October from 7pm if required. Exact timings will be dependent on numbers and confirmed in advance. The show dates are 15th – 19th May, 2018. To register your interest in the auditions and to receive the audition pieces please complete the online form here. Please register your interest by 6pm on Wednesday 11th October. -Jack is a child who lives with his mother and his best friend: a cow named Milky-White. He is a curious, naive, gullible little boy, a little slow of study, but with a huge imagination. When his mother tells him to sell Milky-White because they need the money, Jack is devastated, but obediently sets out into the woods to take her to market anyway. When the Baker and his wife offer to buy the cow for five magic beans, Jack takes them, believing that they are telling him the truth. After his mother throws the beans in the mud and they grow overnight into a magic beanstalk, Jack, armed with his fearless curiosity, climbs the beanstalk all the way into the sky and comes back to earth with gold and treasure, claiming to have met “Giants in the Sky”. He soon becomes greedy and takes huge risks to hold onto the magic he has found, resulting in the destruction of his family, his kingdom, and his innocence. Strong legit tenor. -A spoiled young girl who is strong-willed, quick-witted, fearless, yet youthful and naive. -Little Red Riding Hood is a friendly, chatty little girl who loves to eat and loves her grandmother. She is trusting to a fault, and a bit of a smart alec. When she sets out into the woods to bring some bread to her grandmother and meets the Wolf , she provides him with information that leads to her and her grandmother being eaten. After the Baker happens to pass by and saves them, Little Red has an epiphany about life, and the dangers of her overtly friendly nature. After her fall from innocence, she becomes a bit blood-thirsty in Act Two. Her house collapses and her mother disappears when the Giant comes through the kingdom, so she joins the Baker, Cinderella and Jack in killing The Giant. They become a new sort of family since all their own families have been destroyed. Often played by a young adult playing a child. -A harried and insecure baker who is simple and loving, yet protective of his family. He wants his wife to be happy and is willing to do anything to ensure her happiness but refuses to let others fight his battles. -The Baker desperately wants to have a child with his wife, and can’t understand why their wish is not being granted. When the Witch visits them and tells him that a curse was set on his family because his father stole from her garden, he insists to his wife that he reverse the curse himself since it is on his house. However, he is forgetful and fearful and much too nice to take what he needs, and every time his wife tries to help, he tries to protect her by sending her home. He comes to his senses eventually and realizes that they need to work together to make things happen. The Baker has abandonment issues because his father left him as a boy, and he is terrified that he will turn out just like him. After his wife is killed by the Giant, he, Cinderella, Jack, Little Red and his baby son come together to move forward with their new knowledge and outlook of the world. A tender, warm-hearted, determined but insecure leading man with a beautiful baritone voice. -Determined and bright woman who wishes to be a mother. She leads a simple, yet satisfying life and is very low-maintenance yet proactive in her endeavours. -The Baker’s wife wants nothing more than to have a child with her husband. When the Witch comes to tell them about the curse put on the Baker’s family and explains how to reverse it, she is ready to do anything to help find all the objects they need. When the Baker insists on going it alone, she follows him into the woods and finally convinces him to let her do half the work. She is the stronger and more logical of the pair and is eventually responsible for finding most of the objects. She loves the Baker deeply and seems to love their life together, but gets annoyed with him because he won’t vigorously go after what he wants, and because he often seems to put other’s needs over theirs. Although she is a loving, compassionate person, her want of a child is more important than anything else. In Act Two, after their wish has been granted, she has a romantic encounter with Cinderella’s Prince in the woods. She feels guilty, but the experience makes her realize how much she loves her husband and her newborn child and their life together. She writes it off as a “Moment in the Woods” and starts off with new found appreciation for her life, determined to set the things straight again. She is tragically killed by the Giant before she makes it back to her family. -Sarcastic, ugly-then-gorgeous, obsessive protector of Rapunzel who is straightforward and aggressive. -The Witch is not the cliched evil witch from other fairy tales. She admits her faults when she says “I’m not good, I’m not nice, I’m just right,” and she indeed tends to be the wisest of all the characters, whether that comes from her life experience, or from her magical powers. She visits the Baker and his wife in the beginning of the show, and reveals to them that she placed a curse on the Baker’s family tree and also took his sister at birth (whom The Baker had no knowledge of). She tells them that they must find a list of odd items in the woods and bring them to her within three midnights if they wish for the curse to be reversed. When the curse is reversed at the end of Act One, her youth and beauty are restored, but she loses her magic. Her relationship with her adopted daughter Rapunzel (the child she stole from The Baker’s family) is very complicated: she loves her daughter more than anything else in the world, and shows that love by locking her in a tower to protect her from the outside world. The scheme actually seems to be less about keeping Rapunzel safe, and more about making sure that Rapunzel never loves anyone more than her mother. After Rapunzel disowns her and gets crushed by the Giant in Act Two, the Witch realizes that she failed at protecting her daughter and seems to give up on everything. She disappears in Act Two after telling the other characters that she may be the ‘evil witch’ but, really, they are all to blame. -A young, earnest maiden who is constantly mistreated by her stepmother and stepsisters. -Cinderella is a young girl who has been forced into servitude by her evil stepmother and her equally evil stepsisters. In this version of her story, Cinderella’s father is present (although sometimes he can be cut from the script), but he is a drunk who is too dysfunctional to stop or even care about the abuse that his biological daughter is receiving. Cinderella is a dreamer, and in this particular moment in time, all she wishes is that she might attend the King’s Festival. She is persistent and driven, even when her stepmother makes impossible demands. Her kind heart and loving nature have made her a friend of the kingdom’s birds, and they often help her in times of need. The ghost of her mother, who she visits under a hazel tree in the woods, helps her as well. Although Cinderella seems to know exactly what she wants, when it is actually given to her, she is indecisive and fears the unknown. During the course of the play, after experiencing the extremes that life has to offer as a servant turned princess, she decides that she wants to live somewhere in the middle. Must be an excellent legit soprano with a strong mix. -Vain and gorgeous, he is a disloyal lover who is currently searching for the next new, exciting thing. -Cinderella’s Prince knows exactly what he wants and will stop at nothing to get it. He has led a very sheltered life and is confused when things don’t come easily to him. He is very beautiful and very charming, although also arrogant and entitled. He seems to be quite clever, which is evidenced, Cinderella points out, by his plan to spread pitch all over the steps of the palace in order to catch the runaway Cinderella. Once he gets what he wants, he is easily bored. In Act Two, after he and Cinderella have been married, he has a moment of infidelity in the woods with the Baker’s Wife. When Cinderella confronts him about it, he says “I was raised to be charming, not sincere”. Often played by the same actor who plays the Wolf. -The mean-spirited, demanding stepmother of Cinderella. -Cinderella’s Stepmother is evil and wants nothing more than to be wealthy and powerful. It is unclear why she married Cinderella’s father other than for the little money he had, and the fact that his drunkenness and ineptitude would guarantee that she had complete control. She uses Cinderella as her slave and has taught her two horrible daughters to do the same. She wants one of her daughters to marry the Prince, and uses everything in her power to prevent Cinderella from going to the ball and thus being their competition. Karma gets the best of her when Cinderella becomes Queen and her two evil daughters get their eyes pecked out by birds at her wedding. Must be a strong character actress. -Cinderella’s stepsisters who are black of heart. They follow in their mother’s footsteps of abusing Cinderella. -The elder of Cinderella’s two horrible, mean stepsisters. She has learned from their mother to treat Cinderella as her slave, and she loves making her miserable. Along with her mother, she is “beautiful of face, but vile and black of heart”. Despite her wish to marry the Prince and live in the palace, she ends up a guest at Cinderella’s royal wedding, and is blinded by Cinderella’s bird friends. -Browbeating and weary, Jack’s protective mother who is independent, bold, and strong-willed. -Jack’s Mother is always worried about how she and her son are going to survive. When their cow, Milky-White, stops producing milk, she has no choice but to sell her at market for much more than she is worth. She is a strict mother, and is often annoyed with her son’s big imagination and naivete. She is infuriated when her son comes back from market with nothing but five magical beans, but after the beans grow into a magical beanstalk and Jack brings home gold and treasure, Jack’s Mother takes the gold eagerly. When the Giant comes down to earth searching for Jack, Jack’s mother becomes his protector and does everything in her power to keep her son safe, up until the moment of her death. She is feisty and sharp and quick to speak her mind. Strong character actress. -A mischievous vagrant and nosy meddler. He is a good-natured protector and observer. -An intellectual and pleasant story-teller who helps to orchestrate the show and illustrate lessons to the audience. -A wonderful storyteller in charge of making sure that we, the audience, are let in on the backstories of all of the characters. As he tells us early on, “I tell the story; I’m not a part of it.” However, in Act Two when the Giant comes and demands to be given Jack, the characters decide that they can give over the Narrator instead and she will never know that difference. He gets pulled into to a situation he never thought possible, much like the other characters in the play, and ends up losing his life because of it. The man who plays the Narrator often doubles as The Mysterious Man. Mostly a spoken role with a few singing lines. -A loopy-but-lovely maiden who is sheltered by the Witch and terribly lonely. She yearns to experience the world. -Rapunzel is the long lost sister of the Baker, having been adopted by the Witch after the Baker’s father stole from her garden. The Witch keeps Rapunzel locked away in a tower in the middle of the woods and climbs up her long hair in order to visit her. When Rapunzel’s Prince comes across her in the tower and sees the Witch climbing her hair, he follows suit, and Rapunzel and her Prince fall in love. After she meets the Prince, she learns a bit about what the outside world can offer, and wishes even more desperately to be given a chance to live a real life outside of her desolate tower. Her wish angers the Witch, who cuts off her hair and banishes her to a far off location to live out her life alone, away from the cruel world. Her Prince finds her, however, and between Acts One and Two she has becomes a mother of twins, and disowns her own mother, the Witch. She is tragically crushed by the Giant in Act Two. Rapunzel, like Jack and Little Red, goes through a fall from innocence that lends weight to the story’s overarching lesson to be careful what you wish for. -Just as vain and gorgeous as his Prince brother, he is always chasing the newest, most exciting endeavour. -The Giant’s wife is an angry and vengeful ‘monster.’ She is seeking restitution for her loss. -Often a recorded or an offstage voice. The wife of the Giant that Jack kills when he cuts down the magical beanstalk. After another beanstalk sprouts overnight, she climbs down it and begins destroying the kingdom in her attempt to find Jack and avenge her husband’s death. She is feisty and perseverant and will not take no for an answer. She has no remorse over crushing citizens of the kingdom, and before she is finally killed herself, she murders the Narrator, Rapunzel, and the Baker’s wife. She is eventually taken down by the Baker, Jack, Little Red Riding Hood, Cinderella, and the birds, but not without a fight. -Deceased with her soul guarding and aiding her daughter from a tree. -Cinderella’s Mother has been dead for a long time, but her grave is in the woods at the base of a hazel tree, and Cinderella visits whenever she needs an answer to one of life’s problems. When Cinderella comes to her mother’s grave to ask about how she can get to the King’s Festival., her mother appears in angelic form to give her advice and magically outfit Cinderella in a beautiful gown and golden slippers for the ball. She is a very nurturing and gentle mother, even in her death, and knowing how miserable her daughter’s life is, she does her best to help. Her grave is destroyed when the Giant comes stomping through the woods. -Hungry and insatiable hunter who takes advantage of the weak by misleading and captivating his prey. -The Wolf makes a brief appearance in Act One when he meets Little Red in the woods and cleverly convinces her to take a leisurely walk off her intended path so that he can beat her to her grandmother’s house. He does just that and eats her grandmother, and then when Little Red shows up, he swallows her as well. He is shortly after sliced open by the Baker and Little Red and her grandmother are freed. Often played with a salacious, seductive energy; he is responsible for Little Red’s fall from innocence. Traditionally played by the same actor who plays Cinderella’s Prince. -The Steward is Cinderella’s Prince’s right hand man. He helps the Prince try to find Cinderella and is a little arrogant: he thinks because he works for the Prince his needs are far more important than others’ (such as the Baker’s Wife, whom he struggles with for Cinderella’s slipper at the end of Act One). He is also a coward, however, and when the Giant appears in Act Two, he is the first to leave, alongside Cinderella’s stepmother and stepsisters. He is also responsible for killing Jack’s Mother when he hits her in the head to stop her from arguing with the Giant.